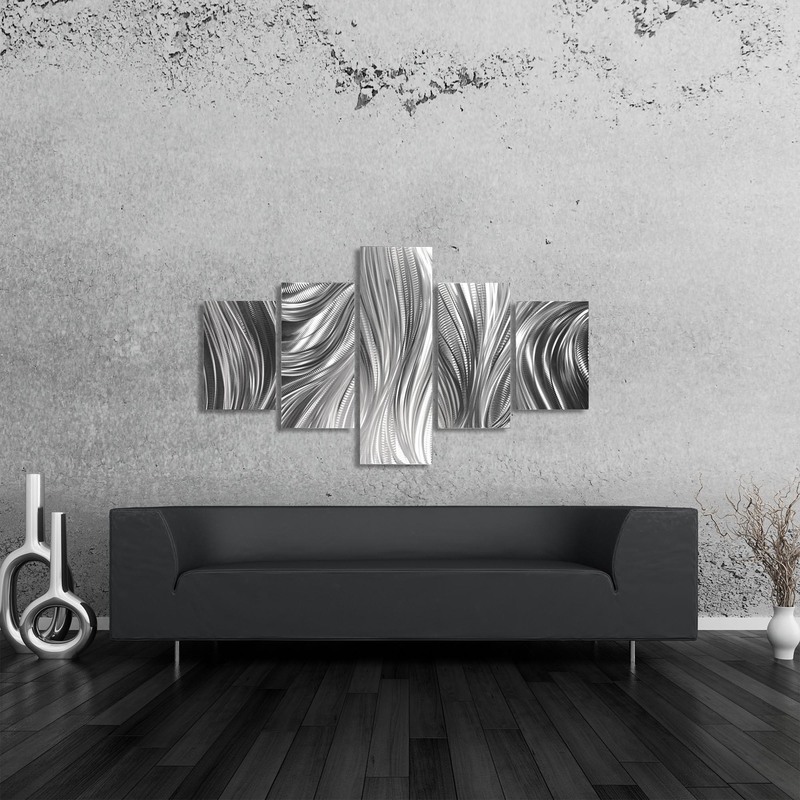 Columnar Plumage is a striking original metal artwork meticulously etched, ground, textured and sanded by hand by contemporary metal artist Helena Martin in Cincinnati, Ohio. 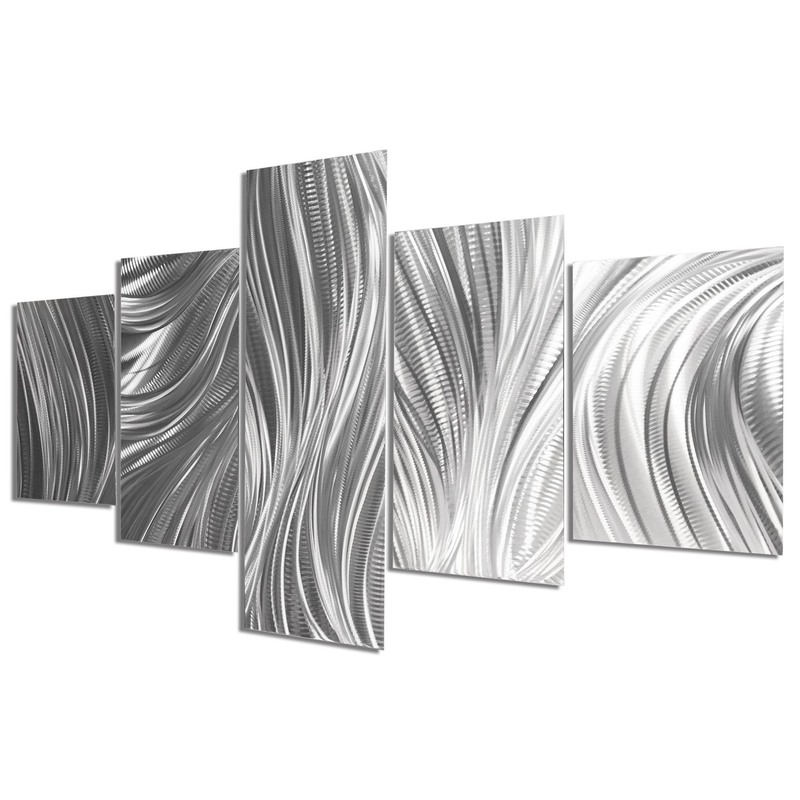 The abstract and contemporary style multi-panel display features a staggered, paneled design crafted from silvery aluminum and layered artistic grind patterns, with a variety of creative application techniques. The textured metallic surface is extremely light receptive, as the etched grooves of the grind patterns reflect light to create movement and depth with a three-dimensional (3D) holographic effect throughout the flowing lines design. With increased overhead lighting these lively, emotional effects will be exaggerated even further. 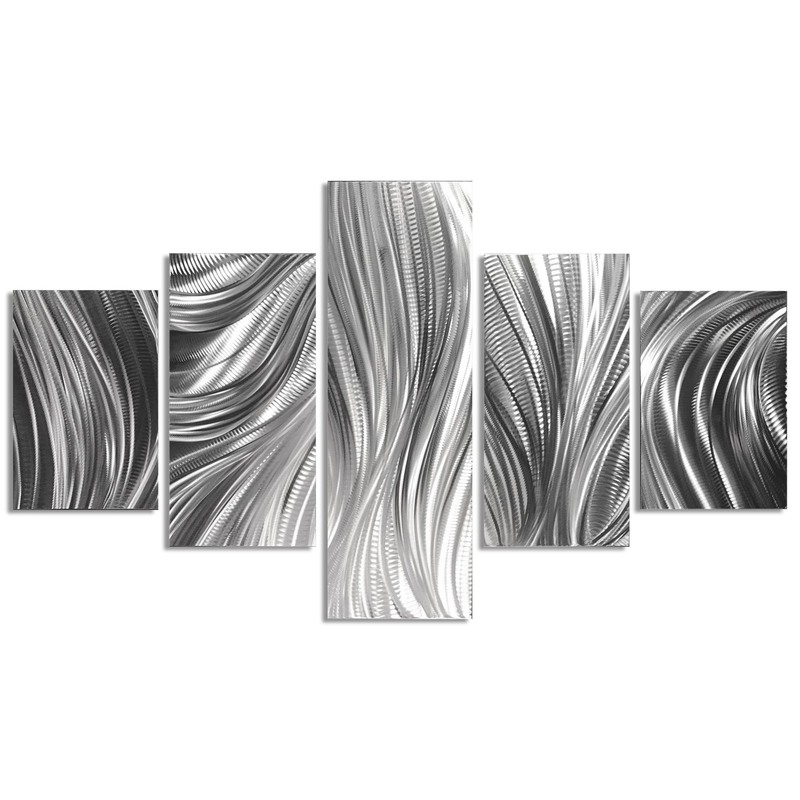 This modern metal wall art is the perfect silver decor for an upscale, contemporary setting. 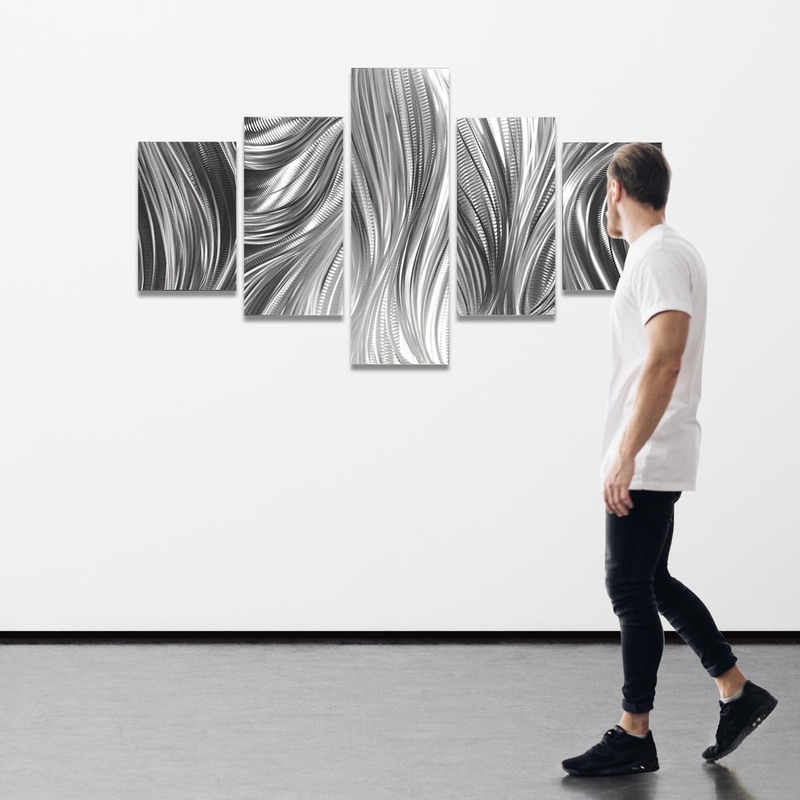 The interesting organic imagery creates the perfect conversation starter, and achieves the ultimate Wow Factor for both residential and commercial applications.